Headings and organizations are listed alphabetically, not by perceived priority. Many of the resources listed have their equivalents with a focus broader than messianic on our General Resources page. Some are listed in both places, but with descriptions appropriate for either the general or messianic focus. This resource list will be added to regularly. The Shofar does not necessarily support all of the views and activities of the organizations listed, but considers each of them worthy of being brought to your attention. 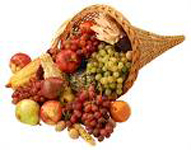 HEBREW CALENDAR - "a free Jewish calendar and holiday web site." 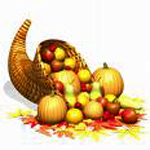 Date converter, holidays, Shabbat times, Torah readings. 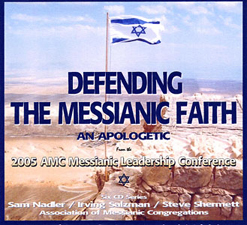 ASSOCIATION OF MESSIANIC CONGREGATIONS - Messianic studies by AMC leaders and supporters. AMC Messianic Links - Congregations and Ministries. ARIEL MINISTRIES - Over two hundred studies in various formats by Dr. Arnold G. Fruchtenbaum and associates. THE BIBLE STUDY PROJECT - "The broad range of Bible knowledge topically arranged." Studies by Norman Manzon. BIBLICAL RESEARCH SOCIETY - Hermeneutics and other first rate studies by Dr. David L. Cooper. DISCIPLE DAILY - "Disciple Daily exists to identify individuals & institutions committed to a Bible based, relationship oriented, disciple making process and to assist their work through a global network community that supports one another through prayer, labor, and material resources." E-SWORD - A marvelous, multifaceted, free, easy to use, downloadable Bible study program. SCHOOL OF BIBLICAL AND JEWISH STUDIES of HaDavar Messianic Ministries - "The HaDavar school is geared to provide high quality Biblical and Jewish studies to any Christian who wants to grow in the Word of God." Free online studies, and low cost studies at Irvine Community Church, Irvine, California. "Please contact us at Hadavar Messianic Ministries so we can help you mature in the Lord and in your new life with Him." WORD OF MESSIAH MINISTRIES - Messianic tracts, discipleship materials and articles by Sam and Miriam Nadler. See Select Resources by Sam Nadler, below. ARIEL MINISTRIES - Discipleship Training Program; Systematic Theology Home Study Course; Camp Shoshanah; San Antonio Seminars. CHARLES L. FEINBERG CENTER - Accredited Master of Divinity Program in Messianic Jewish Studies conducted in partnership between The Talbot School of Theology of Biola University and Chosen People Ministries. DENVER SEMINARY - Master of Divinity with a Concentration in Messianic Judaism. ISRAEL COLLEGE OF THE BIBLE "Israel College of the Bible is the only Messianic/Hebrew-speaking Bible College and seminary in Israel." Its international outreach arm is One for Israel, listed below under Jewish Evangelism. Interested parties may contact Israel College of the Bible at www.israelcollege.com. MOODY BIBLE INSTITUTE - Department of Missions and World Evangelism, Jewish Studies Program. Dr. Michael Rydelnik, Dir. PASCHE INSTITUTE OF JEWISH STUDIES - An accredited college for Jewish studies. 1. Master of Messianic Studies Degree Program. General Masters components recorded by various Tyndale professors. Messianic component recorded by Prof. Dr. Arnold G. Fruchtenbaum. 2. Certificate of Messianic Studies Program. Above Messianic component recorded by Prof. Dr. Arnold G. Fruchtenbaum. ARIEL MINISTRIES - "Created to evangelize and disciple our Jewish brethren." 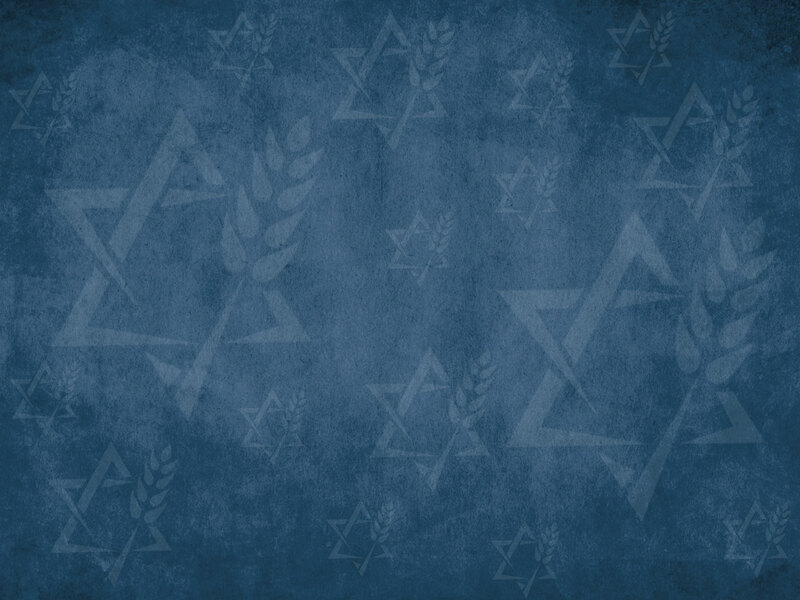 CHOSEN PEOPLE MINISTRIES - "Reaching Jewish people with the Gospel." DUGIT - "Dugit is an evangelistic outreach center located in the heart of Tel Aviv." GEFEN INTERNATIONAL ISRAELI OUTREACH - Hospitality and evangelism to Israelis traveling the world after their military service. JEWISH VOICE - "Jewish Voice is an evangelical ministry committed to taking the Gospel to the Jew first, and also to the Nations." JEWS FOR JESUS - "We exist to make the messiahship of Jesus an unavoidable issue to our Jewish people worldwide." 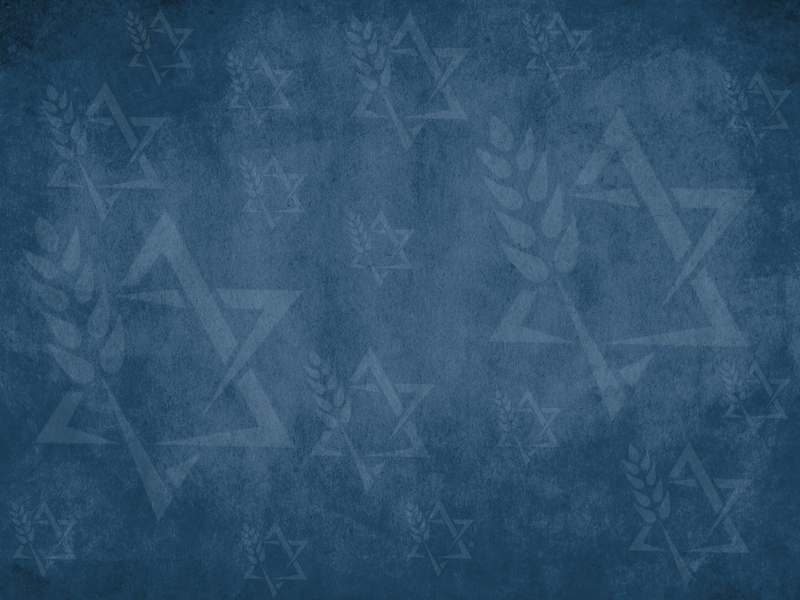 LAUSANNE CONSULTATION ON JEWISH EVANGELISM - A global organization in which people involved in Jewish evangelism can come together to share information, resources, and strategize on a global level. MAOZ ISRAEL - "Maoz Israel Ministries, a Messianic Jewish ministry in Israel, is a catalyst & vehicle for outreach, training, translating, publishing, music recording, video production, economic and disaster relief, and has established and underwrites a Hebrew indigenous Messianic Jewish congregation in Tel Aviv." MESSIAH.COM.ES - A unique, first rate multifaceted website designed for Jewish evangelism. The combined effort of messianic leaders from different groups. ONE FOR ISRAEL - "One For Israel is the international outreach arm of Israel College of the Bible [listed above under Formal Messianic Study]. . . . We are convinced that the best way to bless Israel is with Yeshua the Messiah. . . . [We were] established in 2009 under the sponsorship of Campus Crusade for Christ by its Israeli staff, and later merged with Israel College of the Bible in 2013." Interested parties may contact One for Israel at www.oneforisrael.org. TRUMPET OF SALVATION TO ISRAEL - Founded by Jacob Damkani in 1984. "We are called to preach the Gospel of Yeshua HaMashiach (Jesus Christ) “to the Jew first” and also to Gentiles. . . . Trumpet of Salvation to Israel is dedicated to bringing the Jewish Messiah to the Jewish people in a Jewish way in order for God’s covenant people to recognize their own Messiah." WORD OF MESSIAH MINISTRIES - "Faith Comes by Hearing, and Hearing by The Word of Messiah" Romans 10:17. RESCUE ISRAEL - "Bringing the homeless into the Kingdom. We are called to demonstrate God's love in practical ways to the homeless, the drug/alcohol addicted, prostitutes and the forgotten, and to proclaim to them that there is Good News in Yeshua, the Messiah. Our goal is to help men and women become godly productive citizens of Israeli society." STAND WITH ISRAEL - "From its creation, the mission of istandwithisrael.com has been to assist Israeli believers – Messianic Jews and Arab Christians – in various aspects of their lives – from education to healthcare and financial aid." CASPARI CENTER "a network of people: Jews and Gentiles throughout the world working together to raise awareness of Jewish believers in Jesus and support the growth of Israel's congregations." THE MESSIANIC TIMES bimonthly newspaper - "Serving the international Messianic Jewish Community." Online and hard copy editions. THE ROSH PINA PROJECT - "An alternative look at the Messianic Movement, advocating Biblical Messianic Jewish identity, ongoing debates with leading anti-missionaries and most importantly advocating the cause of Messianic Jews facing persecution or harassment in Israel." ARUTZ SHEVA - Israeli news from an Orthodox Jewish perspective. Offers free daily email newsletter. CAMERA - Committee for Accuracy in Middle East Reporting in America: "devoted to promoting accurate and balanced coverage of Israel and the Middle East." DEBKA - "Covers global security, terrorism, military matters, and political analysis, with a focus on Middle Eastern politics." Offers free weekly email newsletter. HONEST REPORTING - Activists for fairness in reporting about Israel. Offers free daily email newsletter. ISRAEL TODAY HEADLINE NEWS - "Your source for news and perspective by Israeli believers." Free daily email newsletter. JERUSALEM NEWS NETWORK - "Find news from Israel along with reports of interest to Christian and Messianic Jewish believers." JERUSALEM ONLINE - Daily 5-minute online video of news from Israel. May be received by email at no charge. THE JERUSALEM POST - "Israel's best-selling English daily and most-read English website." JEWISH NEWS - INTERNATIONAL - "These sites offer daily updates of international Jewish news - from Israel to New York to Australia." KOLBO ALERT - Free news alerts directly to your desktop. "Notifies you instantly when a critical or important news event occurs." MEMRI - "The Middle East Media Research Institute (MEMRI) explores the Middle East through the region's media." MIDEAST TRUTH - "Trying to spread the truth about the Middle East conflict." Offers free email newsletter. STANDWITHUS - "an international education organization that ensures that Israel's side of the story is told" in a multitude of ways. THE TIMES OF ISRAEL - "The Times of Israel is a Jerusalem-based online newspaper founded in 2012 to document developments in Israel, the Middle East and around the Jewish world." WILDOLIVE - A multifacteted informational and resource website based in the United Kingdom. ISRAEL MINISTRY OF FOREIGN AFFAIRS - Facts about Israel, foreign relations, archaeology, etc. THE JEWISH ENCYCLOPEDIA - "The unedited full-text of the 1906 Jewish Encyclopedia." JEWISH VIRTUAL LIBRARY - "Jewish history, Israel, U.S.-Israel relations, the Holocaust, anti-Semitism and Judaism... breaking news." Includes "Myths & Facts Online: Israel's Roots," a concise, detailed, apologetic for Israel's legitimacy. ARABS FOR ISRAEL - "Arabs and Muslims who support the State of Israel and the cause of peace in the Middle East." PALESTINIANZIONISTORGANIZATION.COM (PZO): - "'The aim of Zionism is to create for the Jewish people a home in Eretz Israel secured by public law'. The PZO is an organization which supports the Nation of Israel and the Jewish people." UNITED WITH ISRAEL - "United with Israel is a global, grassroots movement comprised of individuals who are deeply committed to the success and prosperity of Israel." WALID SHOEBAT FOUNDATION - "Former PLO Terrorist Now Speaks Out for USA and Israel." > Why The Good News Must Be to the Jew first. "While meant to speak to the mainstream of the Messianic Movement, the heart of this book represents the doctrinal focus of the AMC and the purpose of promoting sound doctrine for which the association exists. A good part of the material represents what was delivered as the "Messianic Apologetics" lecture series at AMC conferences on the East and West coasts, as well as at other Messianic Bible conferences prior in North America, Europe and Israel. This book is, in that sense, essential for congregations who desire that sound doctrine be a primary value in Messianic congregations." mattnadler @ wordofmessiah . org. 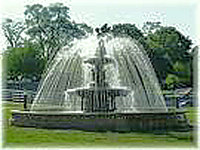 and other events may be accesses at http://www.wordofmessiah.org/.